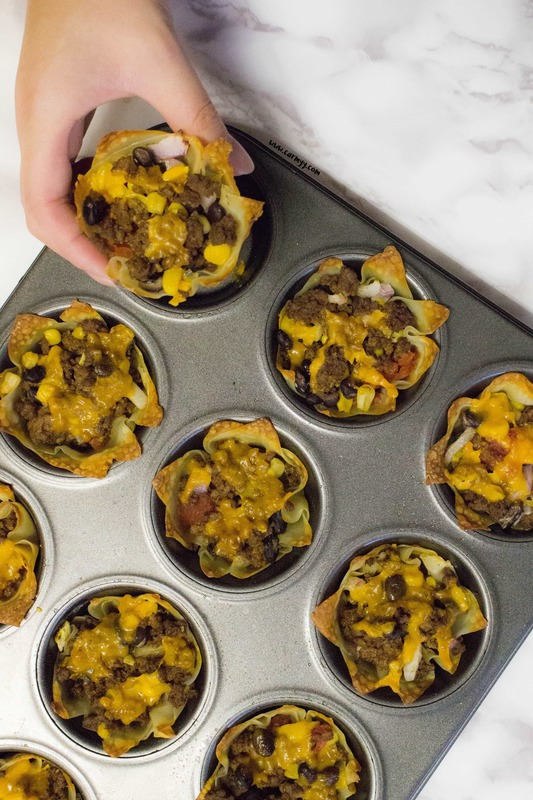 Call them what you want – nacho cup, burrito cup, taco cups. But this is deliciousness in a cup. Then on Monday (yesterday), my brain went a bit wonky. I had thought that it was Tuesday so I went for a run then got ready to go to work. I was scheduled to work an 8 hour shift which meant I was super excited since it meant I was going to be able to get Chipotle for lunch. Of course once I got to work, I noticed that the entire work room and front area was empty. Like dead empty. Standing in the middle of the room confused and concerned, I pulled out my phone and checked my email to make sure I wasn’t walking into a fire drill. Seeing that my inbox was empty, I was even more confused….until I realized it was not Tuesday but Monday so we were closed. Oops. TL;DR? I wanted nachos and Chipotle and sadly did not get it. Since I went all the way to work, I decided I might as well get my grocery shopping done. 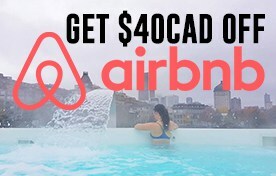 And that’s when this idea was born! 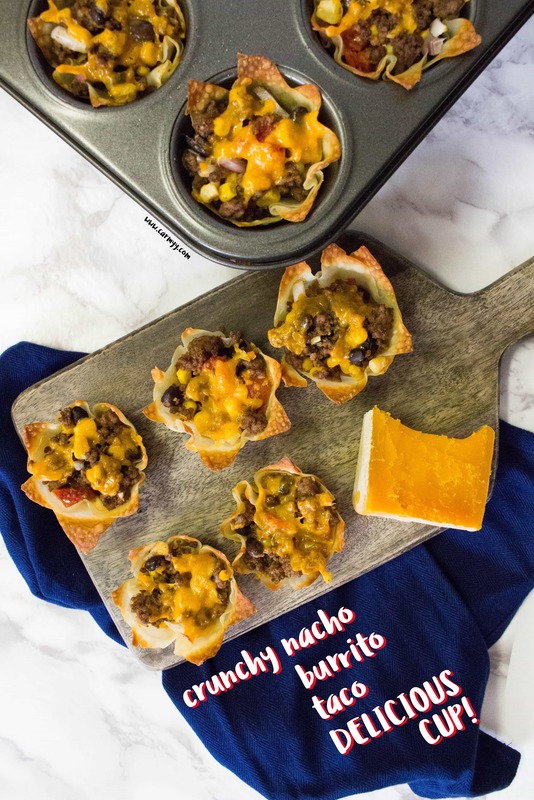 I was craving nachos and a burrito so I decided to combine it all into a bite size snack that’s perfect as a game day appetizer. A taco cup. A burrito cup. A nacho cup. A delicious cup! I’m sure there’s a similar recipe somewhere out there but I decided to grab what I (and H, he loves onions!) liked best about nachos and my burrito from Chipotle and combined them together. I bought wonton wrappers, diced tomatoes, corn, black beans, onions, and cheese! I tried to keep the cheese on the lighter side since I kind of ate a ton of cheese over the holidays…oops! Also, I didn’t have an sour cream or guac at home and honestly didn’t want spend the money on the sour cream since every time I purchase a tub, I never finish it and it always goes bad! It makes feel so guilty about wasting money so this time I just skipped it. As for the guac, I was just plain lazy – there I said it. I just wanted something simple and quick so making my own guac was out of the picture. Honestly, if you’re still with me after all this rambling, I kind of love you! I should probably share the recipe now shouldn’t I? 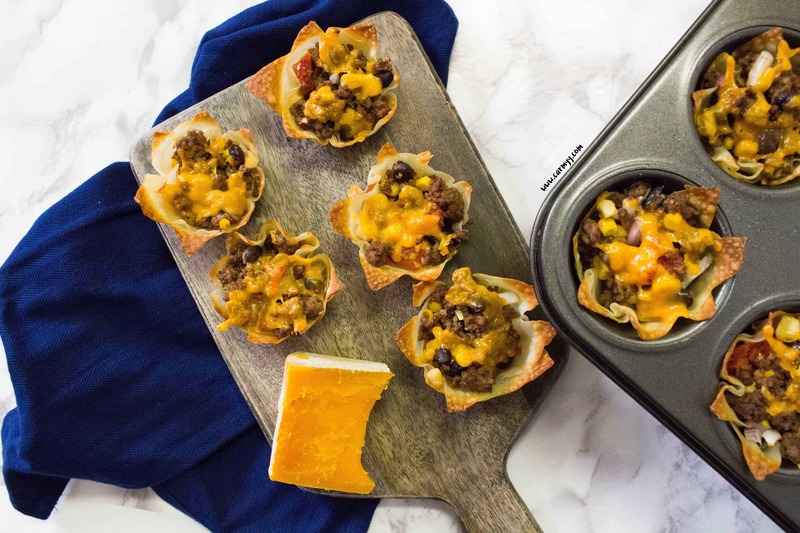 Call them what you want – nacho cup, burrito up, taco cups. But this is deliciousness in a cup. 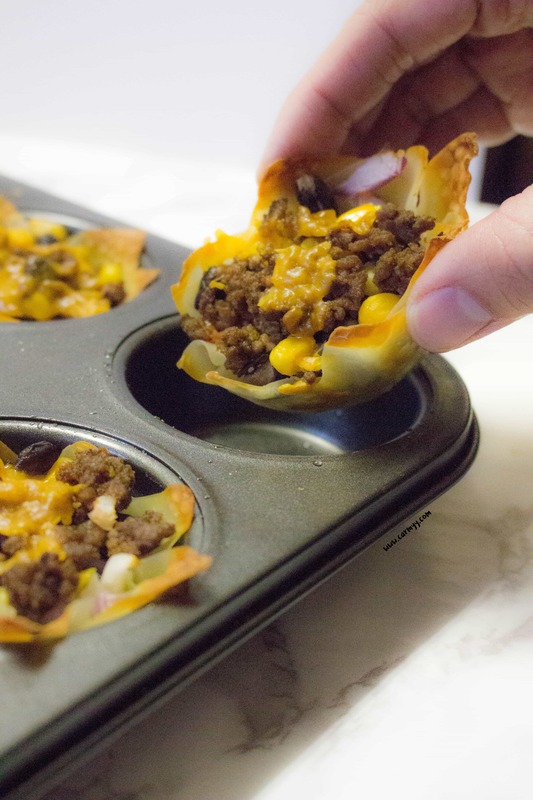 To make these crunchy nacho burrito taco cups, start with heating your oven to 375F. Bake at 375 for 10-15 minutes or the edges are golden. I lined the tin with two wonton sheets each because I was worried that one might not support the filling. You can fill the cups layer by layer or mix all the ingredients into a bowl before scooping it into the tin. I did it both ways and the results were pretty much the same. QOTD: What happened when you got your dates mixed up? What’s your favourite game day snack? How else can you use a muffin tin? Annnnnnd here’s my out of focus video that I’m sharing because I’m all about learning from my mistakes and hey, now next time you shoot a video, you’ll remember to turn on auto focus or your video will turn out like mine LOL. 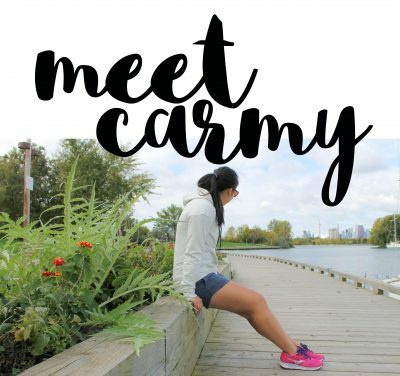 Previous Post: « I’m Running a Ragnar! Sweet potato nachos are my favorite game day snack – and these looks so fun to make and eat! NACHOS! Would def be my fave game day snack!! It’s a classic, but it can bring so much flavour to the table. Not going to lie, I started drooling right after I read the title. 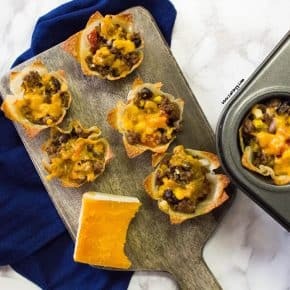 Nothing like a crispy AND loaded bite of nachos, and with these you get that experience every time. Perfect for game day! I have a similar vegetarian recipe that I love. My family on the other hand would love yours. This looks a great recipe and activity todo with my kids. Thanks for sharing! BTW your RAW photos can be adjusted using the camera settings when you shoot. Are you using auto or manual settings? Adjust aperture to brighten them a bit. Thanks for the tip! I think I was on manual! Best part of a new camera is learning how it works. Have fun, try taking pictures of lots of things, focus on fun learning. I’ve cut down tortillas to make these before but never thought about using wontons. I’ll have to try that next Taco Tuesday! Oh I like the idea of using tortillas! They seem more sturdy! Are they crispy though? Oh my. Your work story was hilarious. We all have days like that. Just FYI – I tried watching the video but it says I have to watch it on YouTube because you have playing on other websites disabled. Ah! Thanks for letting me know! I just fixed it – I didn’t know it was on default non-embed! And yes! My supervisor found it hilarious the next day when I told him I showed up. The fake cheese on nachos at sadiums is kind of my favourite. It’s not even a food-like substance, but I love it none-the-less. I’ll also call those cups “get in my facehole” because yum. These look so good! I love tacos and burritos–its such comfort food for me. Can’t wait to try these!